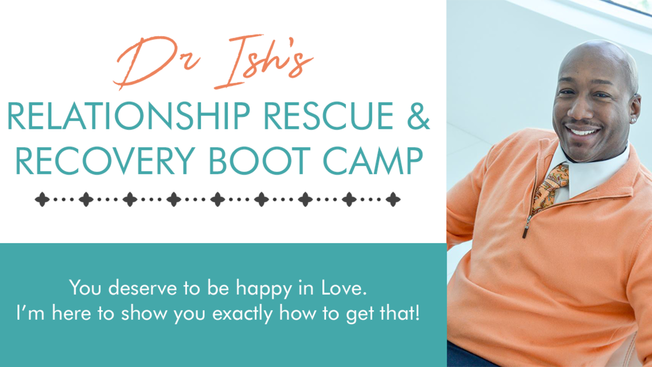 Dr. Ish has done it again with this take home 6 week relationship workshop program that will give you ultimate clarity on exactly what you do, and don’t have in your romantic relationship. Highlighting the 6 Relationship Killers that challenge us all, here is where you bridge the gap between where you currently are in your relationship and where you want to go. This program features insights Dr. Ish has gained from 18 years of working with both celebrity and non-celebrity couples helping them move forward together or finding a way to live happily apart. The 6-week transformation in how you think and feel about your relationship will be incredibly insightful and you’ll use the principles you learn here over and over again for years to come. And the good news is that with this course, just like you’re your relationship, you can make it better by working on it alone OR with your partner! Whether you’re looking to stay together or wondering if you should walk away, this 6 week program will provide you with one thing; answers!